Researchers report says that women who took extra iron reduced their risk of developing ovulatory infertility compared to women who did not take extra iron. To know how iron boosts fertility we should know, getting enough iron is essential for the formation of red blood cells that are needed for natural fertility and conception as iron is a blood building nutrient that increases fertility by helping to balance ovulation. Iron deficiency is the No. 1 deficiency for women in the world, and few women are aware of iron’s connection with infertility and pregnancy complications. From the first period (menarche) to the last period (menopause), a woman’s iron level is determined by the loss of the mineral during menstruation and pregnancy. This can lead to fatigue, burnout, stress and a weakened immune system, in addition iron deficiencies can affect ovulation as well. In addition, it is important to maintain a healthy level of iron intake during pregnancy so as to avoid the risk of anemia in pregnancy, as your baby will require some of your iron intake to develop; this will also help to reduce the risk of postpartum anemia, which is quite common. Iron is central to fertility because it helps keep your reproductive health strong, especially if you have heavy periods. Blood builder can help to restore sufficient iron levels in the blood by providing 100% whole food iron with synergistic nutrients and organic beet root. The recommended daily intake (RDI) of iron during pregnancy is 27mg a day (9mg a day more than that for non-pregnant women). The amount needed depends on the amount of iron the woman has ‘stored’ in her body prior to pregnancy. If your iron stores are very low, you may need to get more from supplements. To reduce discomfort, be sure to take them prior to meals and avoid taking them before bedtime. It is also ideal to start out with a lower dosage until your body adjusts. But it is very important to discuss your need for supplements with your doctor as iron can be toxic (poisonous) in large amounts. Nutrition and diet play a huge roll in fertility and reproductive health. There are two forms of iron, one is called heme iron (comes from meat) and the other is called non-heme iron (comes from plants).It’s necessary to eat both types of iron at the same time as heme iron helps to facilitate the absorption of non-heme iron and make sure to pair them with foods that are high in vitamin C, which increases iron absorption within the body. How iron boosts fertility by taking foods inrich with heme iron include; lean beef( 2.5-4 mg/100g ), lean lamb( 2.5 mg/100g), lean chicken ( 0.9-1.2mg/100g ), salmon( 1.7mg/100g ),white fish ( 0.2-0.8mg/100g ), shrimp ( 2.8mg/100g ), 1 medium egg ( 0.9 mg ). How iron boosts fertility by taking foods inrich with non-heme iron includes; cooked spinach cooked( 1.5mg in 1/3cup ),potato ( 0.3mg in 1 small ),dried apricots ( 2.1mg in ½ cup ), fresh fruit ( 0.2-0.7mg per 100g ), peanuts (1.2mg per 50g ), cashews ( 2.6mg in 50g ), cooked lentils / pulses / dried beans cooked ( 2.9-3.4 in 2/3 cup ). How iron boosts fertility by combination of iron with foods loaded with vitamin C includes; orange and grape fruit juice (1mg in 1cup ), tomatos ( 0.27mg/100g ),red peppers ( 0.43mg/100g ), strawberries ( 0.40mg/100g ), kiwi ( 0.23mg/100g ). 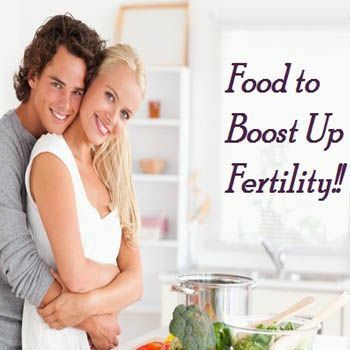 All and all with other multivitamins, folic acid, iron plays vital role to boosts fertility. It will help keep you as you try to conceive. The healthier you are, the better your chance to get pregnant and have healthy baby. Be iron maiden….have healthy pregnancy!